It has been quite the week of reflecting back on what was a very meaningful evening for me; Our first Pop:Luck at The Kitchen by Delicatus in Pioneer Square. 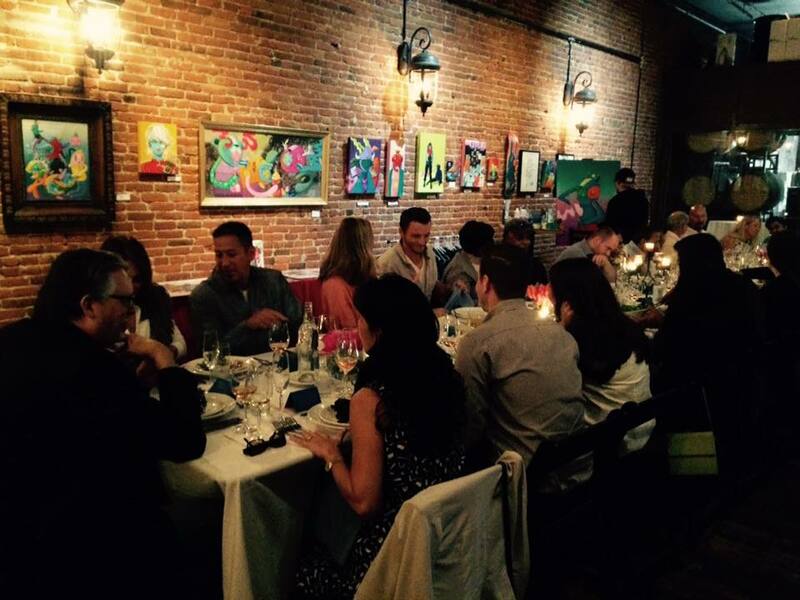 The evening was described as "magical" by several guests, including Artist Ten Hundred, who did live painting at the event. It's feedback like that, that makes all of the work even more special and I am grateful to everyone who came to the dinner! Your support of this new concept means so much and I will always remember this. Read more about this event here. Please join us for this special event that aims to bring the community together around the table to share a gourmet, family-style meal by Chef Brandt. Seattle's massively creative artist Ten Hundred will be doing live art and have his art on display (all will be available for sale). Santa Maria (a former Sounders' player) will be mixing some sweet tunes for a hip + chill vibe. 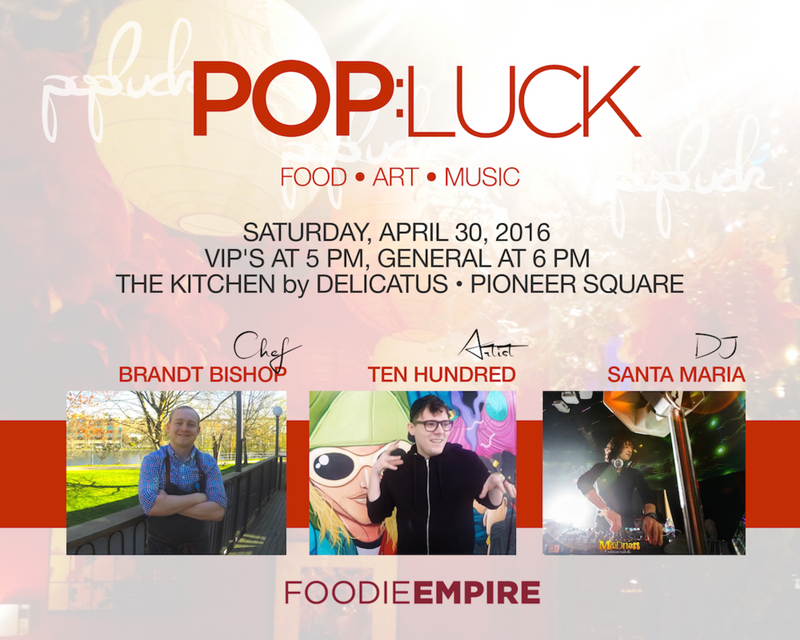 Join Chef Brandt Bishop of the new Branded at Almquist Family Vintners, Artist Ten Hundred for live painting and DJ Santa Maria for some smooth spins at our very first Pop:Luck (Food • Art • Music). Wine pairings included. We look forward to seeing you at this special event that aims to bring the community together to share a gourmet, family-style meal at the table by Chef Brandt. Seating is limited so take advantage of early-bird prices before the event sells out! Limited VIP Tickets: Happy Hour with Chef Brandt. Enjoy Happy Hour on us before dinner, mingle and spend time with Chef Brandt for demonstrations and learning some new tricks... Even some hands-on in making the dishes if you wish! $145 VIP Happy Hour with Chef Brandt, Ten Hundred and Santa Maria including Chef demonstrations and hands-on if you wish! Stay Tuned for Pop:Lucks to be announced soon! Please enter your email address to be the first to know!